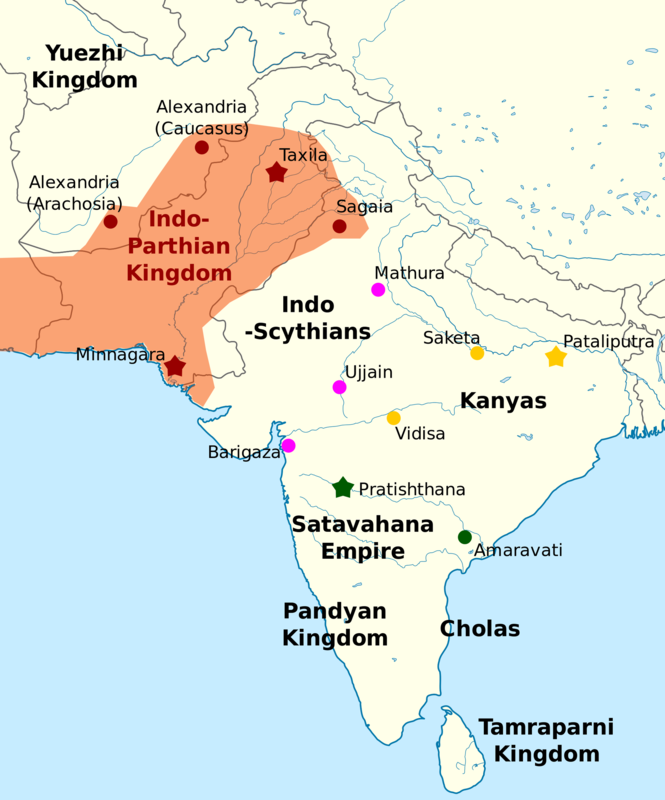 The Indo-Parthian Kingdom was ruled by the Gondopharid dynasty and other rulers who were a group of ancient kings from Central Asia that ruled parts of present-day Afghanistan, Pakistan and northwestern India, during or slightly before the 1st century AD. For most of their history, the leading Gondopharid kings held Taxila (in the present Punjab province of Pakistan) as their residence, but during their last few years of existence the capital shifted between Kabul and Peshawar. These kings have traditionally been referred to as Indo-Parthians, as their coinage was often inspired by the Arsacid dynasty.